While electric vehicles aren’t posting big sales numbers yet, auto companies are making significant investments in them. Both new and traditional car manufacturers plan to release electric vehicles in the coming years. Some of the vehicles have specs and tech features that exceed most gas-powered cars. While electric vehicles still represent a very small percentage of global car sales, automotive companies have made significant investments in them. As governments move to increase emissions standards, even traditional manufacturers anticipate electric vehicles playing a big role in the near future. Porsche will begin production on the Taycan, which is expected to start around $75,000, in 2019. Porsche says it will have over 300 miles of range. Porsche has said the Taycan will have a range of over 300 miles per charge, over 600 horsepower, and the ability to accelerate from 0-60 mph in less than 3.5 seconds. Volkswagen is revamping its iconic minibus with the I.D. Buzz, which will hit dealerships in 2022. The van will have a customizable interior. It will feature seats that can move and rotate on tracks in the floor, allowing owners to set up the interior for a variety of purposes. Volkswagen will release its I.D. crossover SUV in 2020. Volkswagen says the vehicle will have a range of up to 300 miles. The ID Crozz will have two motors, 302 horsepower, and the ability to drive up to 300 miles per charge, Volkswagen has said. In addition to the Crozz, Volkswagen also plans to release an electric compact car, the I.D., in 2020. Volkswagen says the I.D. will have a range of up to 373 miles. Volkswagen has said the I.D. will have 168 horsepower and a range between 249 and 373 miles. The ID will be in the same price range as a Golf with similar specs and features. The Golf currently starts at a little over $20,000. Jaguar released its first fully-electric vehicle, the I-Pace, earlier this year. Jaguar says the I-Pace has the kind of performance specs you’d expect from a luxury brand. Designed as a competitor to Tesla’s Model X, the I-Pace will have 394 horsepower, 512 pound-feet of torque, up to 240 miles of range and the ability to accelerate from 0-60 mph in 4.5 seconds, according to Jaguar. Nissan released a new version of the Leaf this year. The 2018 Leaf has a 151-mile range. The 2018 Leaf has a 151-mile range, 147 horsepower, and the ability to receive 90 miles of charge in 30 minutes with a DC fast-charger. Aston Martin will make only 155 RapidE sedans, which will be sold in 2019. Aston Martin says the car will outdo Tesla. The luxury car will cost $255,000, and Aston Martin’s CEO says it will be superior to any of Tesla’s offerings. While Tesla hasn’t announced a definite release date for its upcoming Model Y SUV, CEO Elon Musk has said production will begin in 2020. During Tesla’s first-quarter earnings call in May, Musk said the Model Y will transform Tesla’s manufacturing process. “I think Model Y is going to be a manufacturing revolution,” he said. Tesla released a video in May that included a glimpse of a vehicle that may be the Model Y. The vehicle in question is pictured above. Musk has said Tesla will release a pickup truck after the Model Y.
Musk offered a few details about the truck in June. Musk said standard features will include “crazy” torque, two motors, all-wheel-drive, and a suspension that is able to adjust to the load the vehicle is hauling. He also said it would have 360-degree cameras, sonar, and the ability to parallel park on its own. Audi says it will start delivering the e-tron to US customers in early 2019. The e-tron will have just under 250 miles of range, Audi says. Audi has said the e-tron will have a range of over 248 miles per charge, 414 pound-feet of torque, and the ability to accelerate from 0-60 mph in under six seconds. Mercedes-Benz will launch its EQ electric-vehicle brand with the EQC SUV in 2019. The EQC may be able to go from 0-60 mph in under five seconds. The automaker has said the concept version of the EQC has a range of 310 miles and the ability to 0-60 mph in less than five seconds. In addition to the EQC, Mercedes-Benz has shown a concept for a compact electric car, called the EQA. The EQA concept has a little under 250 miles of range. Michael Kelz, a Mercedes-Benz chief engineer, told Autocar in April that Mercedes-Benz will make an electric sedan under the EQ brand. The EQS will not be based on the S-Class. Kelz said the EQS will not be a variant of the S-Class, which is pictured above. He also said the EQS could arrive as soon as 2020, but will be available no later than 2022. Tesla revealed its new Roadster in November 2017. The company said the car will be available in 2020. The car will be incredibly fast, Tesla says. Tesla said the base version of the vehicle will be able to accelerate from 0-60 mph in 1.9 seconds, reach a top speed of 250 mph, and drive 620 miles per charge. Elon Musk said a premium version with a SpaceX upgrade package will include around 10 small rocket thrusters that will improve the vehicle’s acceleration, maximum speed, braking, and handling. Nissan hopes to have the self-driving technology for its electric, autonomous IDS ready by 2020, which means we could see the IDS by 2025. The IDS will have a steering wheel that turns into a tablet. Drivers will have the option to drive the car manually or have it drive autonomously. In its autonomous driving mode, the steering wheel folds into the dashboard and is replaced by a tablet that can be used to control an enormous touchscreen. General Motors surprised many in 2015 by releasing an affordable electric vehicle, the Chevy Bolt, before Tesla. The 2018 Bolt is slightly different than the 2017 model. New features include a heated steering wheel and sliding sun visor for the driver and front passenger. BMW has said it will launch 12 electric cars by 2025, including its Mini E, which is scheduled to hit dealerships in 2019. BMW hasn’t released many details about the car. While the company hasn’t released specs for the car, we do know that, unlike previous models, the Mini E won’t have any chrome. Volvo design chief Thomas Ingenlath told Autocar in June that Volvo will release the Polestar 2 in 2019. The Polestar 2 will have 350 miles of range, Volvo says. The Polestar 2 will follow the high-end Polestar 1 hybrid coupe, pictured above, and start around $40,000. It will have up to 405 horsepower and up to 350 miles in range, Ingenlath said. Ingenlath also told Autocar that Volvo will release an electric version of its XC40 SUV “very soon” after the Polestar 2. The gas-powered version of the XC40 is pictured above. Volvo will make a plug-in hybrid version of the XC40. Volvo hasn’t yet revealed the hybrid’s specs. In April, the company said it is aiming for fully-electric cars to account for 50% of its sales by 2025. Fisker hopes to release its EMotion electric car by late 2019. The company says the car will have incredible specs. The EMotion will be able to travel more than 400 miles per charge, accelerate from 0-60 mph in under three seconds, and reach a top speed of 160 mph, Fisker claims. While Faraday Future has had serious financial difficulties, the automaker has said it plans to start delivering the FF 91 in 2019. The company has said the vehicle will be incredibly powerful. Faraday Future says the FF91 will have 3 motors, 1050 horsepower, and a 0-60 mph time of 2.39 seconds. Subaru may release an all-electric crossover by 2021, but very little is known about the car at the moment. In August 2016, a Subaru spokesperson told Automotive News that if the company ends up building an electric car, it would probably build it on its Global Platform, like the 2017 Subaru Impreza, pictured above. The company’s first plug-in hybrid will arrive near the end of this year. Subaru has said that the Crosstrek Hybrid, the company’s first plug-in hybrid vehicle, will arrive near the end of this year. BMW revealed its iX3 electric SUV concept in April at the Beijing Auto Show and plans to start making a production version of the vehicle in 2020. BMW says the iX3 will have over 249 miles of range. BMW says the iX3 will have a range of over 249 miles per charge and a motor that can produce over 270 horsepower. General Motors announced an electric, self-driving vehicle from its Cruise division in January. The company plans to release the vehicles as part of an autonomous ride-hailing service in 2019. The vehicle will represent a big step forward for GM. The self-driving car will have no pedals or steering wheel, and customers will be able to request rides in them with their phones. Chinese startup Byton unveiled a concept for its electric M-Byte SUV in January. Byton co-founder Daniel Kirchert told Business Insider the M-Byte will arrive in 2019. The M-Byte has a unique interior. In place of a traditional dashboard, the M-Byte concept — which Kirchert said represents around 80% of the production version — has a 49-inch touchscreen, as well as touchscreens on the steering wheel and the backs of the front seats. The M-Byte also has individually-adjustable seats, gesture control features, and onboard Wi-Fi. Byton will bring its K-Byte electric sedan to market in 2021. Byton prioritizes interior features over performance specs. Kirchert said performance metrics are secondary to interior features like cabin space, touchscreens, and adjustable seats, and their ability to make a ride more comfortable. He also said the K-Byte will have between 250-325 miles of range, depending on the trim. Hyundai will bring its Kona Electric crossover SUV to the US at the beginning of 2019. The Kona Electric will initially be available only in California. The Kona Electric has impressive range. The Kona will have 258 miles of range, according to the Environmental Protection Agency. It will also have driver-assistance features that can help avoid accidents and keep the car in its lane. Ford has said it will release an all-electric crossover inspired by the Mustang in 2020. The crossover doesn’t have a name yet, but the company claims it will have an impressive range. Ford has said the vehicle will have a 300-mile range and an entry-level price under $40,000. Startup SF Motors unveiled its plans to make electric SUVs at the New York International Auto Show in March. The SF5 may have up to 1,000 horsepower. It will start with the SF5, which the company plans to start producing in 2019. SF Motors says customers will have the opportunity to equip the car with up to four motors and 1,000 horsepower. 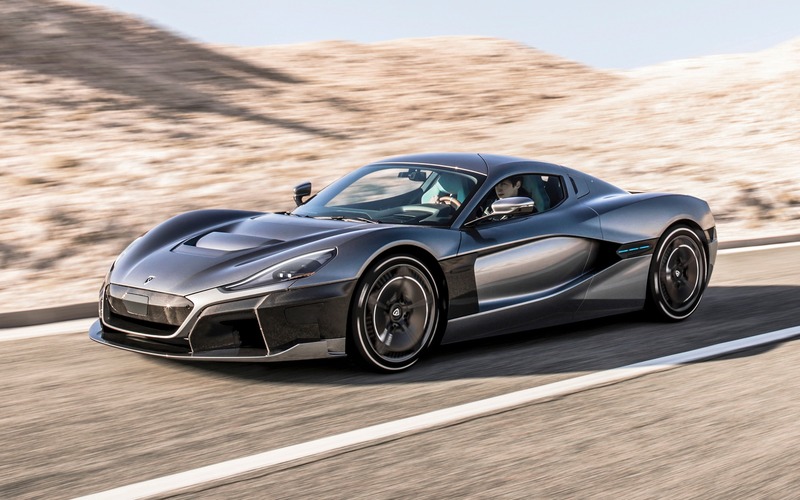 Rimac will start production for an all-electric supercar, the C_TWO, in 2020. The C_Two has breathtaking specs. The C_Two will have 1,914 horsepower, a 403-mile range, a top speed of 258 mph, and the ability to accelerate from 0-60 mph in 1.85 seconds. The electric-vehicle startup Rivian plans to begin production of the R1T pickup truck in late 2020. Rivian has said the vehicle will have a range of up to 400 miles or more. In addition to a planned range of up to 400 miles or more, Rivian has said the R1T will have four motors and the ability to accelerate from 0-60 mph in three seconds. Rivian also plans to start producing an SUV, the R1S, in 2020. Rivian says the R1S and R1T will have similar specs. As with the R1T, Rivian has said the R1S will have a range of up to 400 miles or more, four motors, and the ability to accelerate from 0-60 mph in three seconds.